At Family Craft Memorials, we create a wide range of headstones, monuments, civic memorials, and war memorials in a variety of styles. The photographs below provide just a small representation of the work we can do. There are so many different colors and qualities of granite and marble available that your design choices are limited only by your imagination. To get a better idea of your design options, we recommend stopping by one of our business locations to examine our granite and marble samples in person. 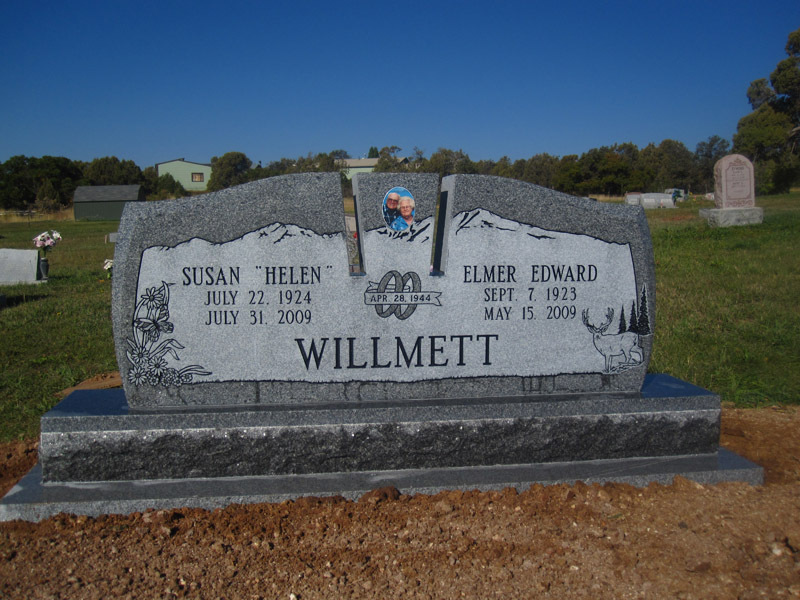 In addition to offering a large assortment of gravestones and memorials, we also pride ourselves on our custom artwork and design. Prior to carving your design, we create a sketch of the piece for your approval. Once we have your sketch exactly the way you like it, we carve it in our Durango facility. Our staff creates each monument on site—from concept to installation—ensuring the highest standards. Our goal is to meet your needs and exceed your expectations. Mausoleum burial offers a loving way to memorialize the deceased and honor a distinctive life. A Family Craft mausoleum stands as a perpetual testament to your family’s accomplishment, distinction, and style. 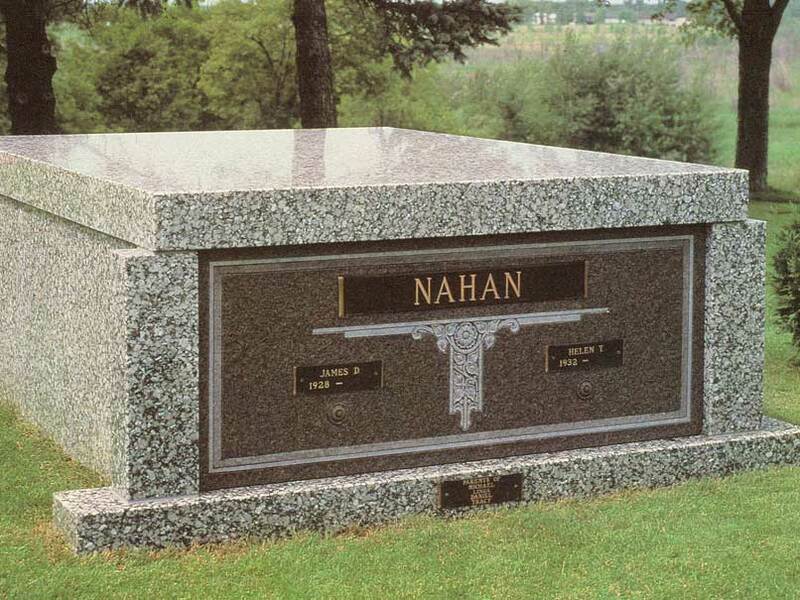 These granite grave markers are cut with a slight slope from back to front. The standard drop is from six inches to four inches. However, we can provide the size of memorial that meets your needs. There are many sizes available. Consisting of a tablet and a base, the upright design is the most versatile memorial style, as well as the most protected from damage. 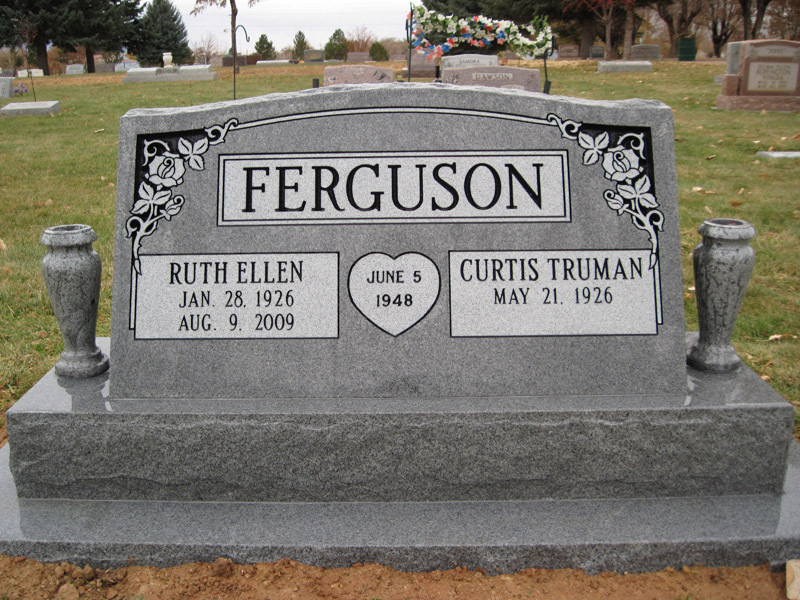 This popular headstone design can be found in cemeteries across the country. 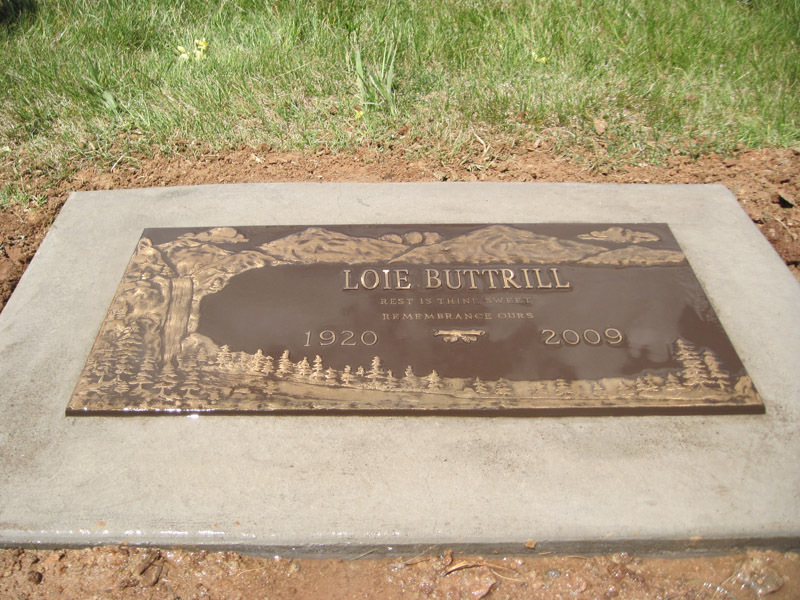 Bronze plaques can be used as markers on monuments and memorials, as well as on headstones. They feature designs and lettering cast as part of the plaque, and are typically mounted on a four-inch-thick piece of granite. 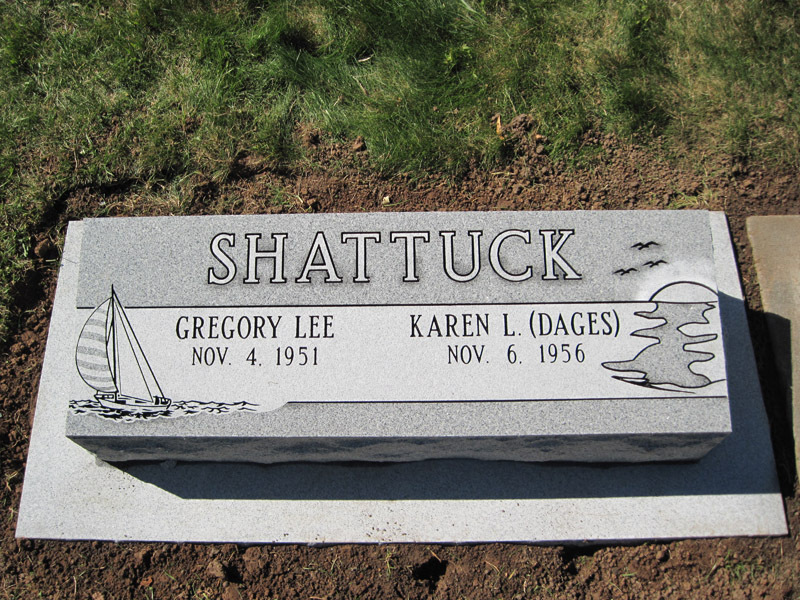 Slant markers feature a one-piece design with a steep, sloped face that makes them easier to locate and read in crowded cemeteries. If you prefer a two-piece slant, as shown in the picture, a base can be added underneath. 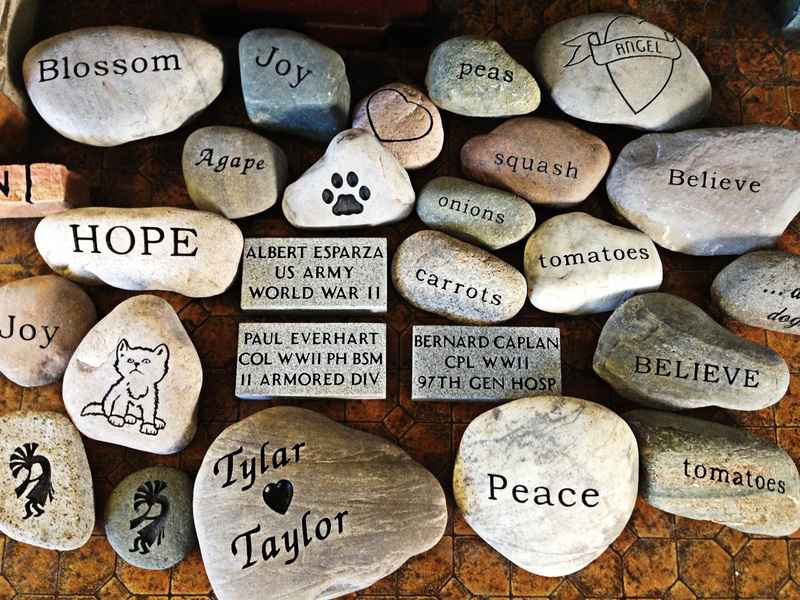 Our personalized pet memorial stones provide a great way to remember your family’s furry friend. Our custom-engraved garden markers, stepping stones, and paving bricks make excellent gifts for friends and family. 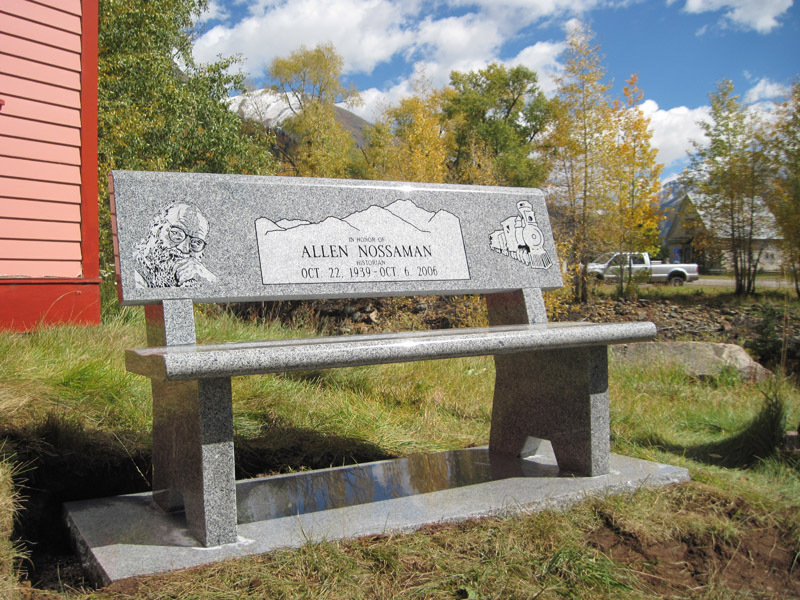 Granite memorial benches offer a beautiful way to honor and remember loved ones. They can be used in place of upright monuments in many cemeteries, or placed in local parks and public areas in your community. 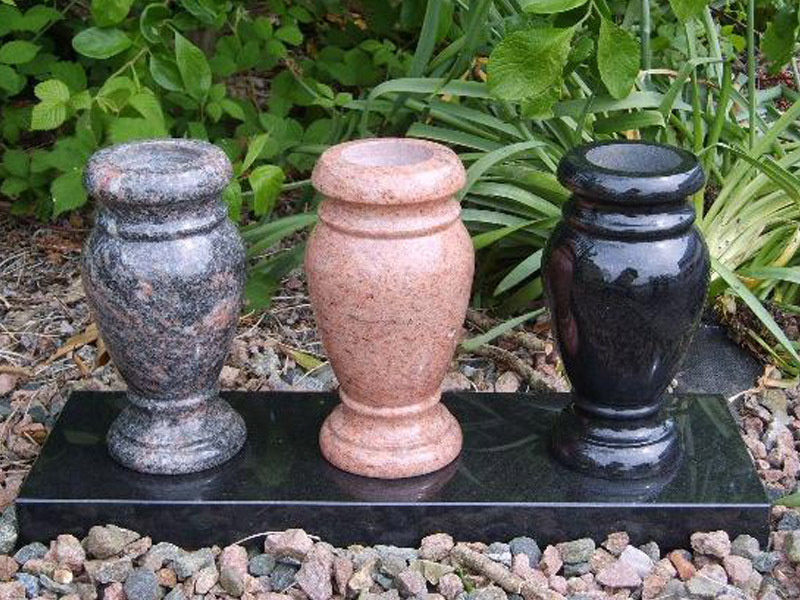 We carry a large selection of granite vases to accent and accompany your loved one’s headstone, monument, or grave marker. We offer vases in many colors, square cut or turned round and polished.